Description: An article about our modern society. As mothers we all want our children to be well dressed, well spoken with good manners. And be respectful towards others and perhaps respected in our society and not looked at as a different individual regardless of race or religion. Mothers strive for their babies to have it all, from having a roof over their head, well deserved cooked meals, to teachers and superheroes without capes. But one thing we have to keep in mind is that all children aren't the same. Your 2 years old may not have the capability to speak 50+ vocabulary words. But at times children with different spoken languages have higher chances of being a late talker, (language barrier ) Means communication between individuals who are unable to speak a language. But sometimes most children are usually late in beginning to communicate. But they are usually really intelligent in their own ways. Your teenage daughter/ Son may have difficulties being socially accepted because in our new generation and society being " Accepted" has a whole new meaning. We will meet two types of people in our life the ones that will accept us and those that won't. Society will always be a difficult place to live because it is made out of rules and regulations. Society believes in standards, traditional, and with the media always reporting false news and giving a false impression on what or how an individual should look, act, wear, and eat. Society is constantly changing, it is, therefore, going to be difficult to be socially accepted. 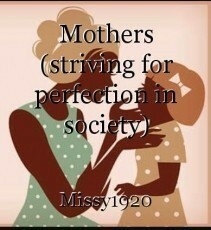 As mothers, it's our job to love and comfort our babies when society rejects them. Quote by me: The celebrities we see on our television screen were once "Outcast" before they became who they are. If we continue following society's expectations We will never excel. Be weird, Be Strange, Be YOU. Thank you very much! Stay Blessed! I like & agree with your message & content! Stay strong & always remember that; "The hand that rocks the cradle, moves the world"! You impact greater than you could ever imagine! Your comment touched me deeply, Spyguy. Thank you for these beautiful and inspiring words. Stay bless, and much love to you. a consultant’s idea on creating a profession. Invitation Etiquette How to be fair and Do it right! THOUGHTS " WHAT DO YOU THINK ABOUT"